February is almost here and what does that mean? Valentine’s Day! While it may not be everyone's favourite day of the year, you can't deny how cute all the decorations in the shops and restaurants are. 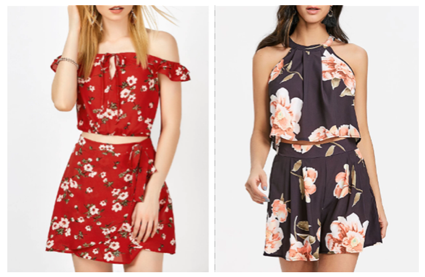 If you're heading out somewhere on Valentine's Day and you're in need of an outfit, then Gamiss has got you covered. They also have a bunch of special promotions happening right now just for Valentine's Day, which you can check out here. If you need a little bit of inspiration on what to pick for your Valentine's Day outfit then just keep on scrolling. There’s a theory that by wearing black and red, you look more appealing to those around you. Men and women in red or near red and black, are perceived as having higher status. If you're heading on a romantic date, why not throw on something red or black? Not only does it flatter all skin tones, it'll leave you feeling confident and on point. If you don't have any big dates planned, Valentine’s day can also be the perfect day to meet your sister and go to lunch together. A floral two piece is the perfect outfit for a summer lunch. If all else fails, why not head out with your friends on Valentine's Night! Whether you and your single mates want to hit the town together, or you all just feel like leaving the other half at home, why not through on something comfortable and fun and have a good time. Pink outfits and accessories can boost the mood just as much as something red, with a more youthful and fun vibe. 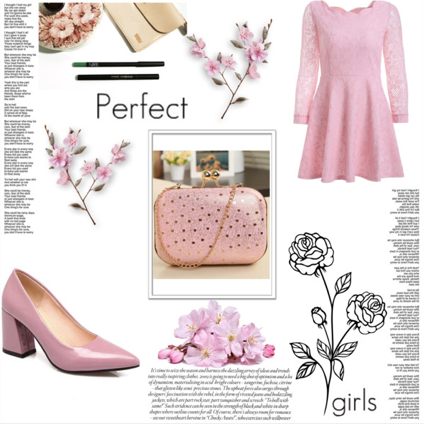 Go for something less intense and romantic with a little pink dress, or some cute pink pump.